Prices for 2019, which apply for all houses. 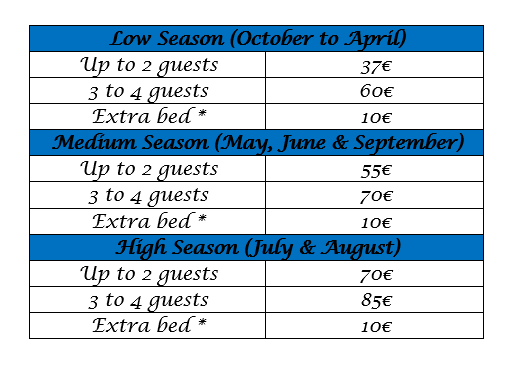 *Extra bed is only available in Dália, Girassol and Magnólia. Please contact us first.